Have you heard about variable frequency drives (VFDs)? They’re the electric wizardry that controls a variable speed air compressor’s rotary pump. Well, technically, they control the AC motor’s speed and torque and they do that by varying the motor’s input frequency and voltage. That, in turn, controls the air pump. Most woodshop compressors today run at one fixed speed. When the air in the tank is depleted, the motor runs until the pump refills the reservoir. 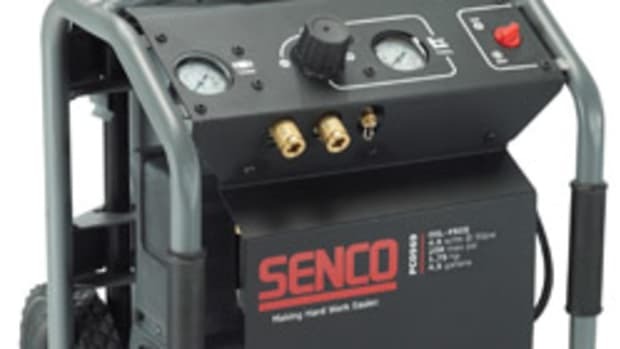 A variable speed compressor’s VFD slows down or speeds up, depending on the load. 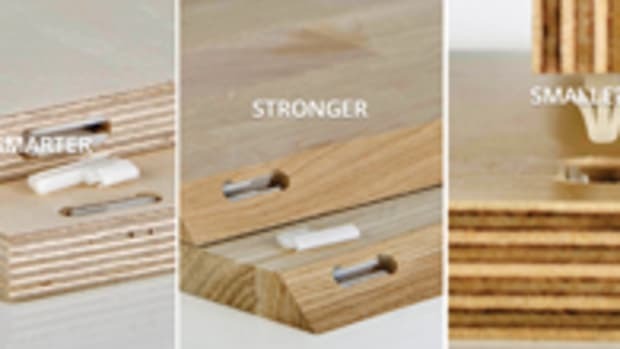 If you only need a pin nailer for a few minutes, that’s not the same energy demand as running half a dozen guns or staplers and a spray booth all day. So, why pay for all that excess compressed air that just sits in the tank? Here’s a stunning thought: roughly 10 percent of all the electricity used in the United States is used to power one form or another kind of air compressor. They’re everywhere, from refrigerators to window AC units to woodshops. Given that almost unimaginable volume, replacing an industry’s existing piston machines with VFD-based systems could have a huge impact on America’s carbon footprint. That’s because two-thirds of our electricity is still generated by fossil fuels (39 percent coal and 27 percent natural gas). If VFDs can reduce power requirements for compressors in the industry by a significant percentage (estimates are at around 35 percent), there will be a domino effect in the next few decades that will not only save businesses money, but will also help clean the air. 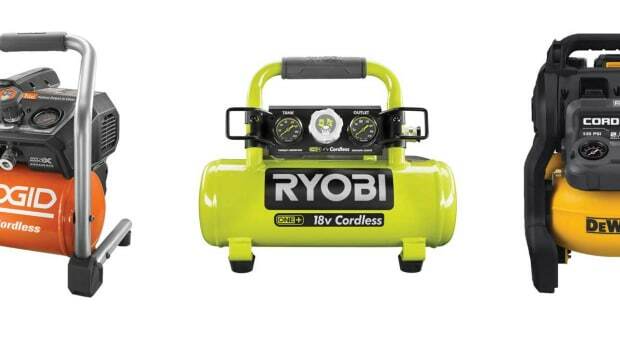 Several leading manufacturers are already offering lines of variable-speed compressors. And, as this new technology develops, it will most probably evolve in several directions. There might be hybrid systems as there are in the auto industry, where combinations of existing and new technologies are allowing a tradition industry to transition at a reasonable pace. So how does this affect your woodshop? Quincy Compressor manufactures a line of QGV variable-speed compressors that use an integrated variable speed drive to deliver “35 percent energy savings over conventional rotary screw compressors,” according to the company. That qualifies for energy efficiency rebates in some states and municipalities. When a shop doesn’t need the entire capacity of the compressor, the unit decreases the airflow output, saving about one-third of the energy. Kaeser Compressors is one of the world’s largest providers of compressed air systems and its SFC variable-speed product line is a significant part of that. The soft start in these units allows them to “go from zero to full load without current spikes or excess heat rise. This allows unlimited motor starts,” the company says. The SFC line is exceptionally efficient because it uses larger air ends with optimized profiles, turning at slower speeds. (An air end is a chamber in which air is compressed.) That means the compressors provide more air per kilowatt and are able to deliver optimum performance over their entire speed range. 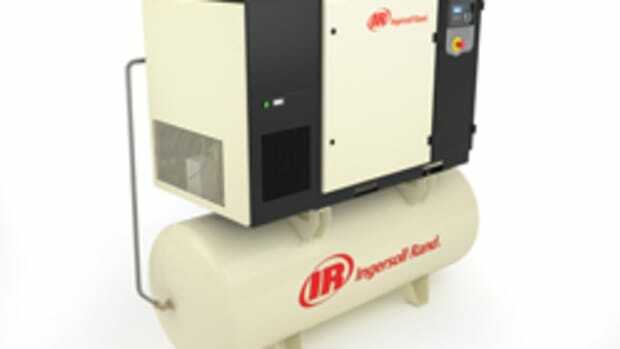 There are many other reputable manufacturers of variable-speed compressors including Sullair, CompAir, Almig, Powerex, Gardner Denver, Chicago Pneumatic and Ingersoll Rand. The latter’s Nirvana line matches a standard variable-speed inverter with a Hybrid Permanent Magnet (HPM) motor and this results in a true variable-speed drive compressor that is available in both single- and two-stage options. According to the company, Nirvana compressors have “fewer rotating parts than any other air compressor in [their] class.” The line also has the ability to grow with your business. With a simple firmware upgrade, the Nirvana 7.5-40 hp can grow without having to upgrade to a new compressor. That is, it allows a shop to upgrade just the drive to the next largest horsepower. That HPM motor is interesting, too. It has no bearings, pulleys, belts, couplings or motor shaft seals that would wear out, leak or need replacing. That makes it amazingly low-maintenance. If something does go wrong, the stator (the stationary part of the motor) can quickly and easily be replaced by authorized technicians. Exchanging the stator is usually less expensive than a motor rewind. Beyond the motor, all of these manufacturers use rotary screw technology to compress air. This is a system based on two meshing helical screws (called rotors) that work in sync to force air through the compressor. This technology was first patented back in the 1800s and really came into its own around World War II. One advantage to rotary screws is the small amount of vibration or, well, violence involved. They synchronize inside a housing, rather than pump up and down in a cylinder. They also reduce power surges because there are fewer motor starts and they deliver much more constant pressure. Rotors are typically used where the demand for compressed air is larger than that produced by reciprocating compressors (our industry’s small-shop standard), but less than the volume delivered by industrial sized centrifugal units. They are available in both oiled and oil-free configurations. 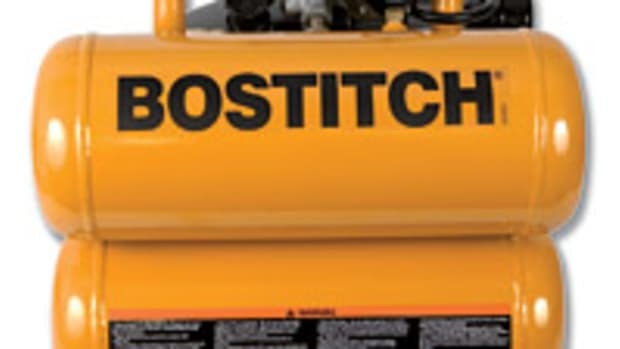 Variable-speed compressors offer significant savings when demand is varied. But most analysts seem to have concluded that a variable-speed drive compressor that is operating continuously at full speed will actually be less efficient than an otherwise identically sized fixed-speed compressor. When researching your options before purchasing, ask about this. If your shop has projects where the compressor will be running all-out for long periods of time, variable-speed rotary compression might not be the way to go. Variable-speed compressors are often high-end in both terms of performance and initial cost. Unfortunately, that means that small shops are often excluded from upgrading, but mid-sized operations can graze an extensive buffet of options. For example, Quincy’s QGV series come in models from 20- to 200 hp, and Kaeser’s SFC models range from 10- to 700 hp. However, there are some small shop options, such as a 5- to 25-hp line from Sullair called ShopTek. 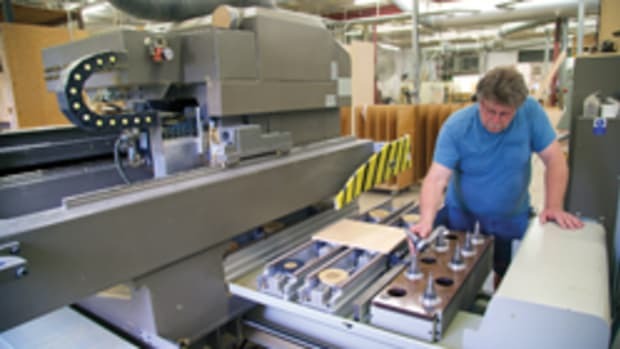 In addition to the cost of the compressor, variable-speed drives can be quite sensitive to dust, heat and humidity, and installing them in a way that keeps them remote from these factors in a woodshop can be costly and unwieldy. The bottom line here is this: small shops might still be best served right now by inexpensive-to-buy, but more-expensive-to run compressors with reciprocating pumps. 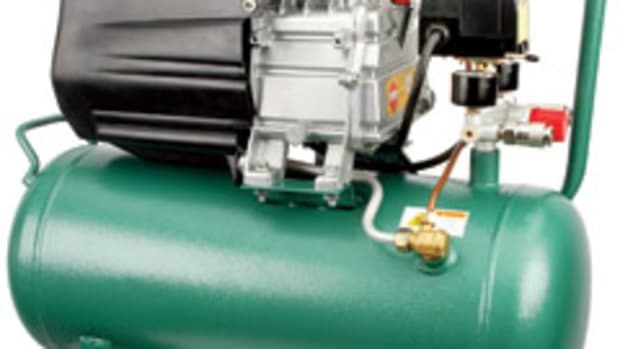 Larger shops with varying compressed air demands might want to take a look at upgrading to a variable-speed compressor — not always to replace existing equipment but often to complement it. Some tasks that require peak delivery over long periods could be better kept as they are on a fixed-speed compressor, while other tasks with intermittent needs might be better served by adding a rotary-drive variable-speed compressor as a dedicated solution. 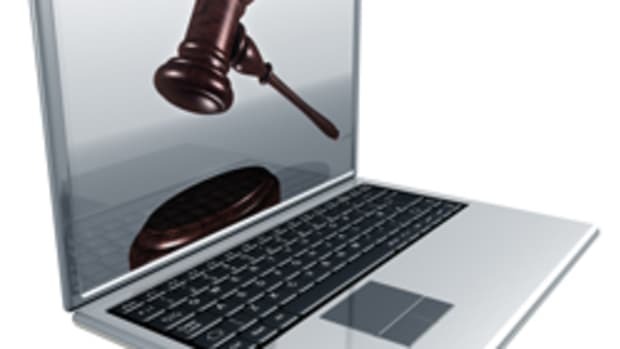 This article originally appeared in the November 2015 issue.